A trouble-hit Birmingham nightclub that became a 'war zone' after a mass brawl between rival gangs has applied to become solely a restaurant - with the backing of police. 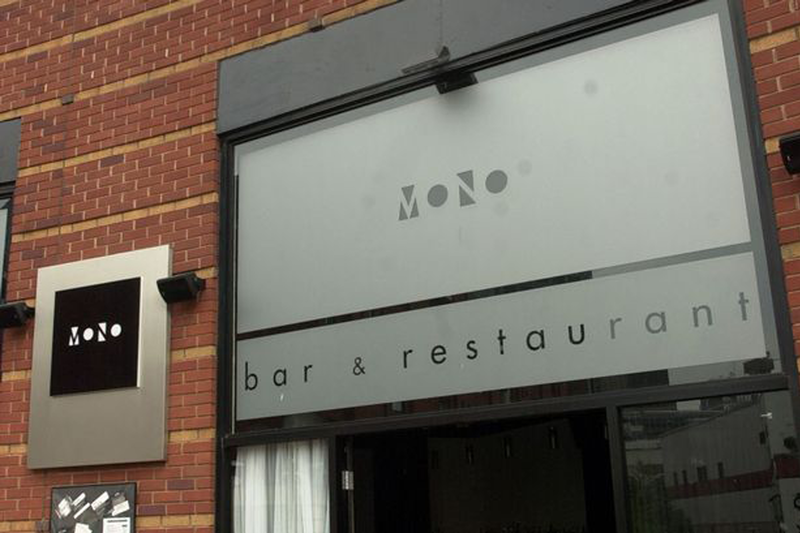 Bosses at the Mono Bar plan to rename the Arcadian centre venue after West Midlands Police said the nightspot had witnessed one of the worst outbreaks of violence "ever seen" by officers. Gang members slashed rivals with glass bottles and blinded each other with CS spray during the disorder in the early hours of January 18. Police were forced to draw their batons as the violence spilled onto surrounding streets and continued at City Hospital, where some of the wounded had been taken. The bar - where police were also attacked with champagne bottles during disorder in April 2014 - had its licence revoked by Birmingham City Council after the near-riot, which saw police release CCTV pictures of five suspects. A meeting of Birmingham City Council's licensing committee has now extended the suspension for 28 days, and the authority will now consider the police-backed restaurant only plans. PC Abs Rohomon said the force had "very carefully" considered the new proposals and said the venue would change its name to avoid "commercial suicide". "The original application was against a late night mainstream venue as a nightclub," PC Rohomon said. "This is a totally different application and one we are happy with. It changes the ethos completely. The crowd that will go there now are people going to the theatre." The Hurst Street venue has already begun a six-week refurbishment, the meeting heard. Under the proposals there will be no DJs or stages allowed and police have also placed restrictions on how many customers can be served in the small bar area. PC Rohomon said the venue owners, who operate an American diner-style restaurant in Solihull and another restaurant in Stratford, had worked with police and accepted modifications to their proposals. The new restaurant would open until 1am on weekends, with food only served until midnight. Cllr Barbara Dring, chair of the city council's Licensing and Public Protection Committee, said: "The decision to suspend Mono Bar's licence for a further 28 day means it now cannot be re-activated, which reflects Bull Frog Leisure Limited's decision to surrender its license for the premises. "Experienced police officers described the crime and disorder they witnessed at Mono Bar in the early hours of 18 January as the worst they had seen in Birmingham’s night time economy – which is something that we never want to see repeated."